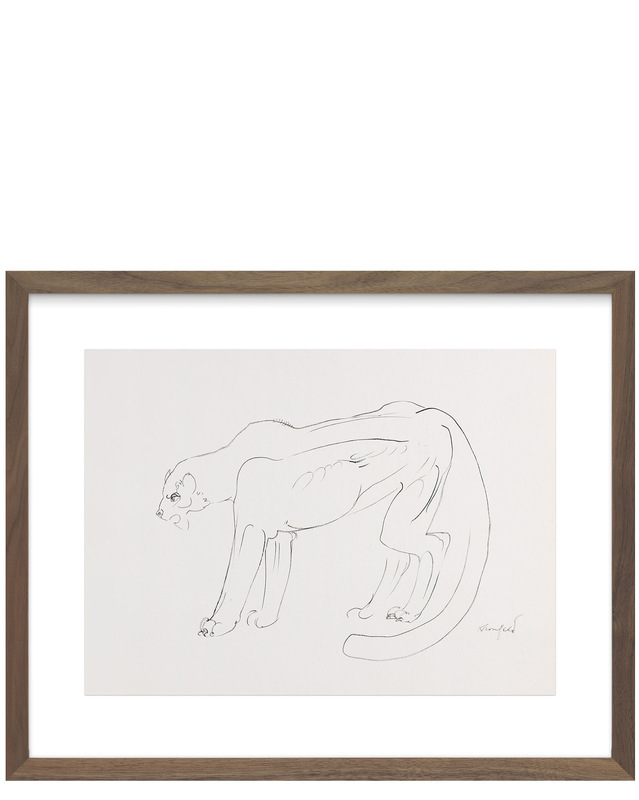 "Kalahari Vintage Panther" by Morris Kronfeld&quot;Kalahari Vintage Panther&quot; by Morris Kronfeld, alt="&quot;Kalahari Vintage Panther&quot; by Morris Kronfeld, "
Contemporary limited edition archival print of a Mid Century panther illustration by historic New York Modernist artist Morris Kronfeld (1914-2011). He studied art, biology, & art history at Brooklyn College and received a master's degree at NYU. An art teacher and district art supervisor, Kronfeld had a lifelong career with the NYC Board of Education. He traveled extensively every summer, painting & drawing, and exhibited in Brooklyn and Greenwich Village. 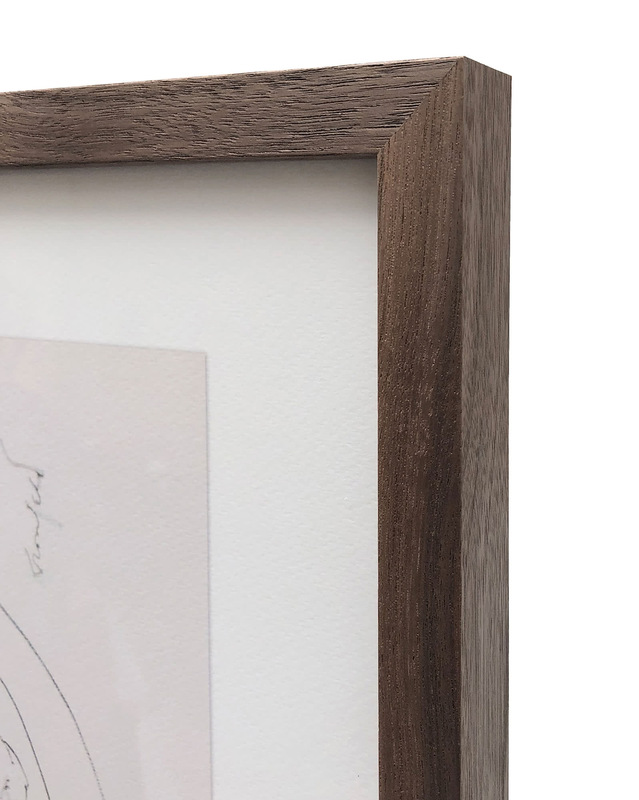 Framed in a contemporary light walnut-wood frame using gallery-grade acrylic. Overall Dimensions: 21" x 17"